The National Poultry and Food Distributors Association Scholarship Foundation has given almost $260,000.00 to rising leaders in the 40 years it has been operating. 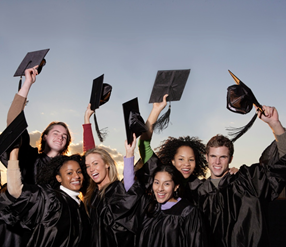 Every year since 1979, NPFDA has awarded a select group of deserving students with a scholarship to help them complete their college education. The NPFDA scholarship began when its leadership saw the need for outstanding “People Resources” in the agricultural industry. In 1986, the William Manson Family Memorial Scholarship and the Alfred Schwartz Memorial Scholarship Awards were established. In 1997, NPFDA named a third scholarship award the Albin S. Johnson Memorial Scholarship Award. As of February's Board Meeting...All applications and scholarships will be considered ONLY if the appplicant is an employee or child of an employee of a NPFDA Member Company. The yearly award has increased to $4000 per student and the number of students to be awarded has increased to 5 ($20,000 total in awards). The funds for the scholarships come from private cash donations and donations to NPFDA’s annual silent auction. The silent auction is held each January during the Annual Convention in Atlanta at the Awards Reception. 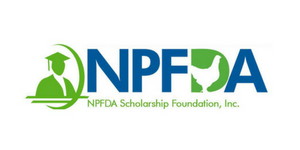 The National Poultry & Food Distributors Assocation's Scholarship Foundation is pleased to offer the opportunity for a scholarship award to NPFDA member children and/or employees. As a member, one of your greatest benefits is to have the opportunity to win funds towards your or your children's tuition!! Each selected student will receive a $4,000 scholarship. Complete the online application, in full. All applications and documentations must be received by 5:00 p.m. May 31 before award year. If your transcripts must arrive separately, they will be matched appropriately. Official transcripts are the only documents accepted after the deadline due to the short window between semester end and the deadline. The foundation would not exist if not for the financial support of our industry. The generous donations of the Manson Family Memorial and other members' contributions have made the scholarship possible. Our next silent auction will be held during the 2020 NPFDA Annual Convention in Atlanta during the Annual Reception helpd from 5:00 p.m. - 7:30 p.m. Donations are accepted year-round at this website or can be mailed to NIPFDA Scholarship Foundation, 2014 Osborne Rd, Saint Marys, GA 31558. Members and other industry personnel are encouraged to consider aiding in this worthy project. Donations may be sent to the NPFDA office. NPFDA will increase the awards as funds allow. You may make your donation in memory of an individual - NPFDA will inform the membership and the family of the donation. The foundation and its activities are approved by the IRS and donations are tax deductible. You can change the amount in your cart.